How does the hardware wallet function? Have you been thinking about using bitcoins? Clueless about where to start? Then you should start by getting all the facts right about a bitcoin wallet. The first and most important step to making use of bitcoins as a financial variable is having a bitcoin wallet. But, why is bitcoin wallet so important? If you do not have your bitcoin wallet, you will be unable to carry the following transactions with your bitcoins: receiving, storing and spending. The bitcoin wallet acts as the personal interface of the user, connecting them to the network. The mechanism I similar to that of an online banking system that acts as a normal interface to the monetary system. The bitcoin wallet has a private key or a secret code, which allows the owner to spend their bitcoins. What you need to understand is that, you are actually not storing and securing your bitcoins, it’s the private keys which you have is giving you access to the bitcoins. In simple terms, the bitcoin wallet is an application, device or website that manages the private keys of your bitcoins. There are different types of bitcoin wallets on the market. 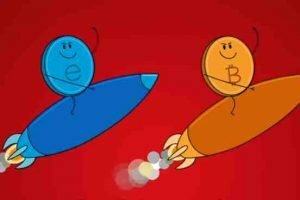 Knowing the different types will help in determining which is the best bitcoin for you. A good example of the hardware wallet is Ledger Nano S. A bitcoin hardware wallet is an electronic device that can be physically touched and seen. It has been designed and constructed to effectively secure bitcoins. The main innovation of this hardware is that it has to be connected to a tablet, smart phone or a computer before you start spending your bitcoins. 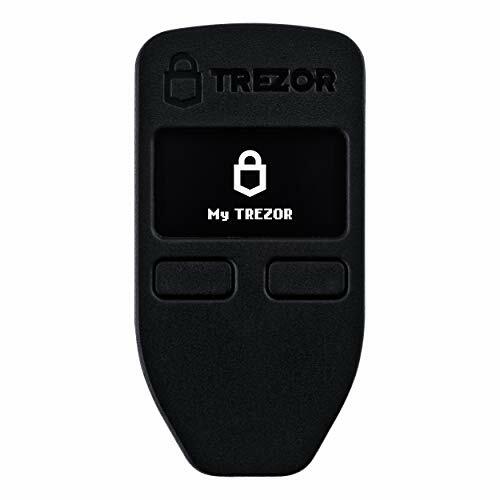 The other popular hardware wallets are KeepKey and Trezor. If you are looking for convenience and reliability with your bitcoin storage then hardware wallets are the best security gadgets to go for. They are able to protect your private key from being exposed to the dangerous world on the internet. These private keys since they are very important, the hardware wallets make sure they are secured offline and offered maximum protection, they remain protected even if you happen to plug the hardware wallet into a device that is malware infected. Since bitcoins are digital money, they are easy targets for cyber criminals and many will target the computer software on your computer in an effort to try and steal your private key. Since your private key is generated and stored offline by the hardware wallet, hackers are unable to reach into your wallet and access the private key. If they want the key, then they would have to physically steal the hardware wallet from you. Still, that would be useless since the hardware is protected by a security PIN code. The other good thing about the hardware wallets is that you can create a secret security backup code when your wallet gets stolen, damaged or lost then you can still retrieve your bitcoins. What are the merits and demerits of the hardware wallets? They offer easy and secured storage method for your bitcoins. They have a secured backup system that stores your bitcoins. They have a set up that is user friendly. Ideal for individuals looking to store large amounts of bitcoins and for a long time. They have a very low margin for error. They have a 2 level security storage system for your bitcoins. The hardware wallets are costly. You can’t access your bitcoins without the private key. Unlike the hardware wallets, the hot wallets are a little different. They also offer nearly the same advantages as the hardware wallets. The only difference is that these wallets run on devices that are connected to the internet like smartphones, tablets, and computers. They also have the private keys or the secret codes. They are not deemed to be 100% secure since they generate the private keys on a device that is connected to the internet. 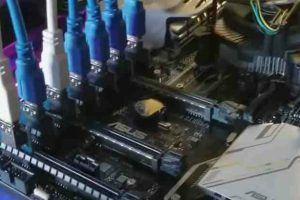 The main function of the hardware wallets is transferring the cryptocurrency from one person to another, they have been specifically constructed and designed to perform this task effectively. When a transaction takes place, the hardware wallets exchange the bitcoin values, this is later sent to the blockchain. The blockchain technically controls the entire bitcoin network. The blockchain then stores a secret data in the hardware wallet. This secret data is known as the private key, it’s also the evidence that the transaction took place in your wallet. The private key is also used to change the transaction as it takes place. The bitcoin network confirms the transaction. The confirmation takes 10 minutes after it has been broadcasted to its users. The whole cycle has been designed to hinder any theft of the cryptocurrency and guarantee the security of the transactions that are made by the users. Having a hardware is important since many financial experts predict that the cryptocurrency will be the future currency. Having a hardware wallet will make sure that your cryptocurrency is safe and it also gives you a chance to own your bitcoins. The importance of screens on hardware wallets is that they offer additional security. This is done by verifying information and displaying important data in the wallet. Since the hardware wallets are very hard to crack, the screen offers added trust compared to the data being displayed on your internet connected device. The Private keys have emerged as the most secure way of communication when conducting bitcoin transaction. In the past, when the invention of the public key cryptography was still being used, these great cryptographic had one weakness and it was their inability to effectively communicate the key. This key was important in making sense of the encrypted messages. In order to solve this problem, two keys were introduced. Private and public keys. The public one was used in encrypting the messages, while the private one was for decrypting the messages. Only the used of the wallet has the private key, while the rest of the world has access to your public key. This means anyone has the ability to send you an encrypted message without your consent or you agreeing on a particular key beforehand. They can do this by using the public key, you then have the chance to ignore or accepts these messages by use of your private key. Make sure your private key is generated in an offline environment that is secure. If you are making transactions with very little amounts, then you can make use of a hot wallet. Have a backup of your private key. The backup will offer protection against losing bitcoins that are caused by the hard drive failing, accident or any technical problem. To be on the watch out for robbery and fire, you can make copies of your backups in an offsite platform. Make sure your wallets are encrypted to offer additional security. The encryption prevents someone from physically stealing your funds when a situation arises that you lost your device or got robbed. Making sure that your bitcoins are always safe and secure happens to be an important routine step for all Bitcoin users. Bitcoin offers you the privilege of safeguarding your money in a responsible way. 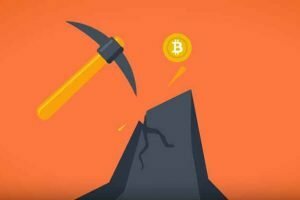 Bitcoin has many related scams that have seen many bitcoin users lose a lot of money. This normally occurs when people decide to entrust third parties with their bitcoins. The same way you don’t trust anybody with your money so the same caution should be applied when it comes to your bitcoin funds. With a good hardware wallet be guaranteed that it will be able to protect your funds, be it a few hundred or millions. 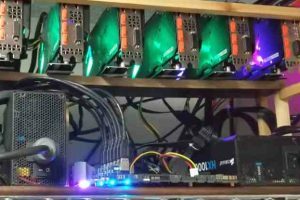 Hardware wallets are very costly, so it’s best to make sure they are well taken care of. Don’t confuse a bitcoin wallet with a bitcoin bank. Companies like Coinbase are being used by bitcoin users, to function like a bitcoin wallet. Such companies work similarly like banks. This is a little dangerous since you allow third parties to have access to your private keys since the institutions will be having your private keys, it’s like making a cash deposit. However, this doesn’t mean that the bitcoin banks are completely bad. It’s just important to always remember that when someone has your private key they have control over all the bitcoins that are attached to that particular key. 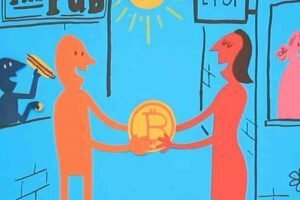 Such a misunderstanding has made many bitcoin users lose a lot of money and that’s why it’s important to understand the difference between bitcoin banks and bitcoin wallets.